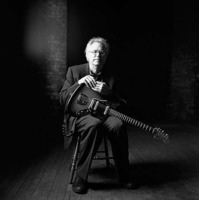 William Richard "Bill" Frisell (born March 18, 1951) is an American guitarist and composer. One of the leading guitarists in jazz since the late '80s, Frisell's eclectic music touches on progressive folk, classical music, country music, noise and more. He is known for using an array of effects (delay, distortion, reverb, octave shifters, and volume pedals, to name a few) to create unique sounds from his instrument.